BlackBerry Curve 8530 with WiFi headed to Verizon | BlackBerry Blast! Verizon is set to have another BlackBerry in its offerings. The BlackBerry Curve 8530 is headed to Verizon. 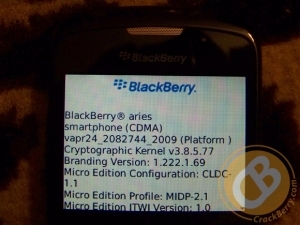 The 8530 is the CDMA version of the 8520 that T-Mobile will offer in August. Verizon's version of the Curve will sport WiFi.